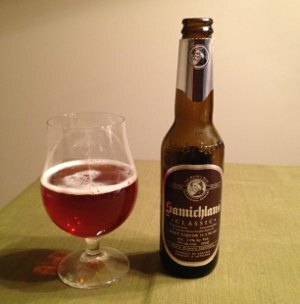 I discovered this beer last year and somehow manged to get my hands on a few bottles to lay down. Since it was such a rich, malty, boozy, almost syrupy beer, I figured that laying it down in my basement for a year would do it some good. And, of course, I needed a basis for comparison, so I picked up a few bottles of the most recent incarnation as well. Unlike the annual Holiday beers I've been having lately, this one is brewed with the same recipe every year, so drinking these two different versions actually does represent a "vertical" tasting. 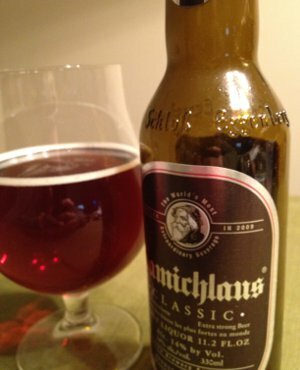 To recap the beer's background: it's only brewed once a year, on December 6 (for the uninitiated, that's the feast day of Saint Nicholas, hence the name of the beer.) It is then laid down to mature in cold cellars for at least 10 months. This is an extremely long period of secondary fermentation, owing to the beer's extraordinarily high original gravity (apparently around 1.224), which of course leads to an obscenely high alcohol content (14% - thank goodness I was able to get the small bottles for this tasting). Michael Jackson speculates that "the brew is moved from one lagering tank to another, in order to restart the secondary fermentation. The brewery is coy about this, but the fact is that conventional methods will not easily make a beer so strong." This is indeed quite true. Most beer yeasts start to crap out once the beer reaches 9 or 10% ABV, and thus the brewer needs to be tricky to coax more out of the yeast. There are a lot of techniques for doing this, including the use of a more tolerant champagne yeast to finish off the beer. But the brewers of Samichlaus instead prefer to use patience and time (and apparently agitation during the lagering process). It's not entirely clear to me when this beer is bottled. The labels for the beers showing up on shelves in 2011 said "bottled in 2010". When you consider that this beer is brewed in December, I'm not sure if that means that this year's beer was originally brewed in December 2009, or if the lengthy 10 month aging process all happens in the bottle. Well, whatever the case, the years listed below are what the label says. Beer Nerd Details: 14% ABV bottled (11.2 oz). Drank out of a tulip glass on 12/23/11. Bottled in 2010. Beer Nerd Details: 14% ABV bottled (11.2 oz). Drank out of a tulip glass on 12/23/11. Bottled in 2009. Well, there you have it. I was drinking these as I wrapped presents and watched Christmas movies, so I had paced myself rather well throughout the night... and I still got pretty well drunk. These things happen. I still have 3 bottles of the 2009 and one of the 2010. I do believe this will become a nice annual tradition in the Kaedrin household. I really can't wait to try one of these 2009 beers a few years from now to see how well the flavors marry. Beer Nerd Details: 10% ABV bottled (750 ml capped and corked). Drank out of a tulip on 12/17/11. As with all things Fantôme, I don't really know what to make of this. Is it supposed to be undercarbonated? Did I just get a bad bottle? Even if it was just a bad bottle, does that indicate lax QA on their part? 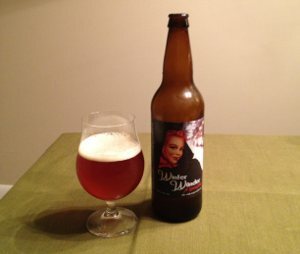 According to the label, head brewer Danny Prignon changes the recipes for his beers every year. Does that mean that next year's Noël beer could be much better? Strangely, I don't think I'll mind testing that out next year (assuming I can find a bottle). It's all part of the mystique, I guess. * All two of 'em! 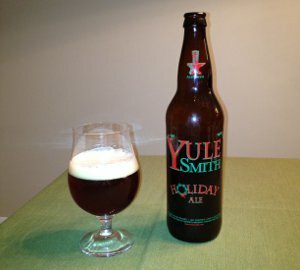 Somehow, Alesmith makes two different beers that are both named Yule Smith. And one of them comes out in the summer. Now, the word "Yule" is derived from a Germanic winter festival that was absorbed by Christmas (one of many such occurrences), so the summer one doesn't really make much sense unless you consider the dubious holiday of Christmas in July an event worth celebrating. Then again, if it's an excuse to make good beer, who am I to complain? What we have here, though, is the actual Christmas version of the beer. Apparently both varieties are hoppy, imperial ales, with the summer incarnation being a DIPA and this winter one being an imperial red ale. In my recently formulated hierarchy of holiday beers, this one represents category three - the do whatever the hell you want and call it holiday beer approach. I guess red is a color associated with Christmas, so there's that. 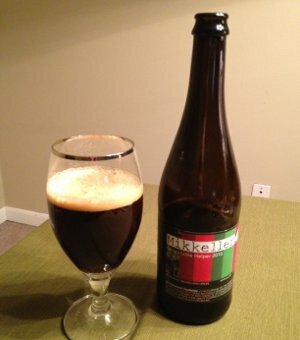 Beer Nerd Details: 8.5% ABV bottled (22 oz. bomber). Drank out of a tulip on 12/16/11. As it turns out, this was my first Alesmith beer. And it's made a good impression too, so much so that I think my next homebrew might end up being an imperial red. Anyways, I'll definitely want to pick up some of the summer Yule Smith, and I know folks seems to love the Speedway Stout as well. 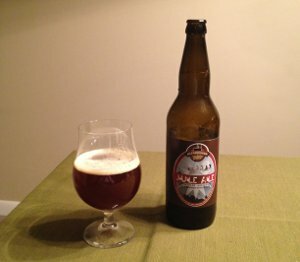 I've been drinking and reviewing lots of holiday beer recently, so I thought I'd take a step back and think about what makes a holiday beer a holiday beer. There are, of course, no easy rules for holiday beers, but there are a few approaches that seem to work really well. Approach the first: spice the hell out of it. This is usually done to a style that focuses on malts. The spices and malts lend a warming sensation (hence the "Winter Warmer" style). Approach the second: make it stronger. This seems to be a Belgian thing. Oh, it's Christmas? Let's make our dubbel, but give it 3% more alcohol. That'll be fun. 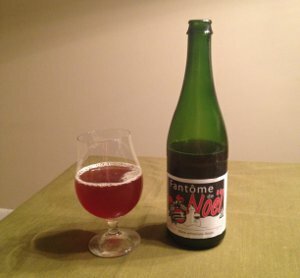 Of course, Belgian beers are often spiced and those distinctive Belgian yeasts also contribute some spicy character to beer, so there is that too. What you end up with is a spicy, malty, boozy treat, and with all the alcohol, you can really get that warming sensation going. Then there's approach the third: do whatever the hell you want! This is typified by Sierra Nevada's Celebration, in which they just decided to do a strong, hoppy, reddish IPA thing and slapped a holiday label on the bottle. Nothing particularly festive about it, but it somehow manages to work anyway (we're going to see at least one more of these before the year ends). I tend to prefer approach 2 (see: Ommegang Adoration, Affligem Noel, St. Bernardus Christmas, etc...), but approach 1 has its charms as well (see: Anchor's Christmas Ales and my own take on the style). The third category has some wonderful beers, but I also don't find much holiday charm in there either. Beer Nerd Details: 8% ABV bottled ( bomber). Drank out of a tulip glass on 12/16/11. Beer Nerd Details: 8% ABV bottled (11.2 oz). Drank out of a tulip glass on 12/10/11. 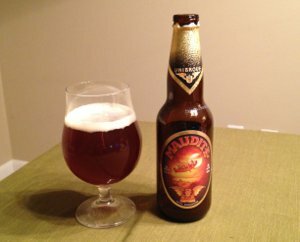 Unibroue has one of the best year-round lineups out there, and this one is widely available and usually pretty cheap too. Well worth a try this holiday season! Beer Nerd Details: 10.9% ABV bottled (750 ml caged and corked). Drank out of a goblet on 12/10/11. Well, I liked it enough that I picked up the 2011 version that same weekend, though I haven't drank that one yet. I doubt it will make it to next year though! 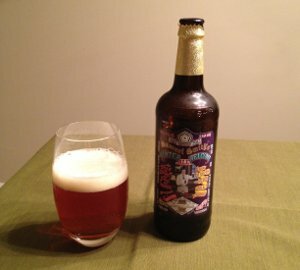 Beer Nerd Details: 6.5% ABV bottled (750 ml caged and corked). Drank out of a tulip glass on 12/9/11. 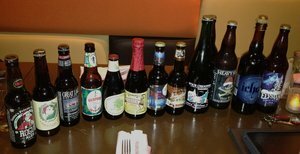 A few of the beers in the picture were not actually opened. We ended up using them as a sorta Holiday beer exchange/white elephant style gift for each other. Overall, we all had a good time and I'm already looking forward to the January edition of beer club. Until then, expect a whole slew of additional holiday beer reviews! Like Anchor's Christmas Ale, these are apparently vintage dated and feature new artwork on the label each year. Unlike Anchor, the recipe appears to be the same each year. While I haven't sampled a lot of Samuel Smith's catalog, what I've had so far has been uniformly solid stuff. No face melters, but really well executed examples of classic styles like oatmeal stouts and brown ales. As such, I was quite looking forward to this beer. Alas, my hopes were dashed. Beer Nerd Details: 6% ABV bottled (500 ml). Drank out of a, uh, glass. I mean, you can see the picture, right? I don't know what to call that glass. But I drank it on 12/2/11. A disappointing effort from Samuel Smith, but I'm still a fan of their stuff and will most certainly be trying something else from them in the near future. Well, if I keep buying beer the way I have been lately, it probably won't be the near future. Seriously, I've got a lot of stuff in my cellar these days. Good stuff. Stuff I should really drink soon. Not to mention 4 cases of homebrew. But I digress. Beer club tomorrow! See you then.